Radon is a naturally occurring, carcinogenic gas that can seep into homes and lead to serious health problems, including lung cancer. Radon can only be detected through testing, and if actionable levels of radon are found it's essential to install a radon mitigation system. If you believe that radon gas is intruding into your home, it's time to take action against it. Rod Martin's Complete Basement Systems of are the local experts for radon testing and radon mitigation services, and we can help you keep your home protected. 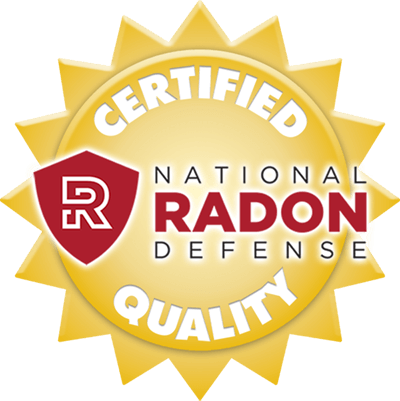 If you're interested in radon mitigation for your home, call us today at 1-844-241-2961 or click below to get started. We offer free estimates on all our work in Denver, Colorado Springs, Aurora and the surrounding areas in Colorado. Rod Martin's Complete Basement Systems' radon mitigation system uses sub-slab depressurization to reduce radon levels. As a full-service radon mitigation contractor, Rod Martin's Complete Basement Systems can also install a radon mitigation system that is compatible with the current waterproofing system in your basement or crawl space in Fort Collins, Thornton, Arvada, Westminster, Boulder, Greeley, Longmont and homes nearby! Rod Martin's Complete Basement Systems also provides multifamily radon mitigation in compliance with the HUD Radon Policy. If testing confirms radon levels above 4 picocuries (pCi/L), mitigation must be performed by a radon professional reduce the level of radon gas in the air to a safe amount.